« How big a flat should I get? This is meant to be a guide so that you will know which areas the cheapest hdb flats are in Singapore. Use it to find out which areas you should be focusing on. 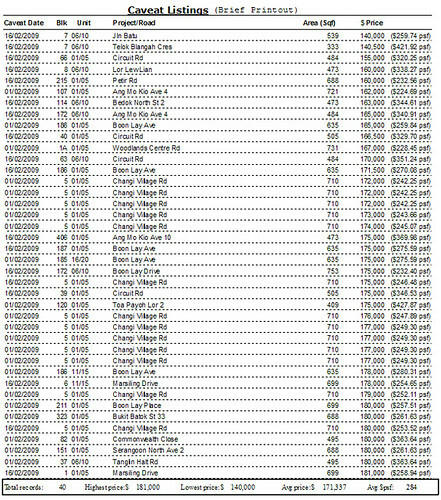 Below is the 40 cheapest flats logged in February 2009. 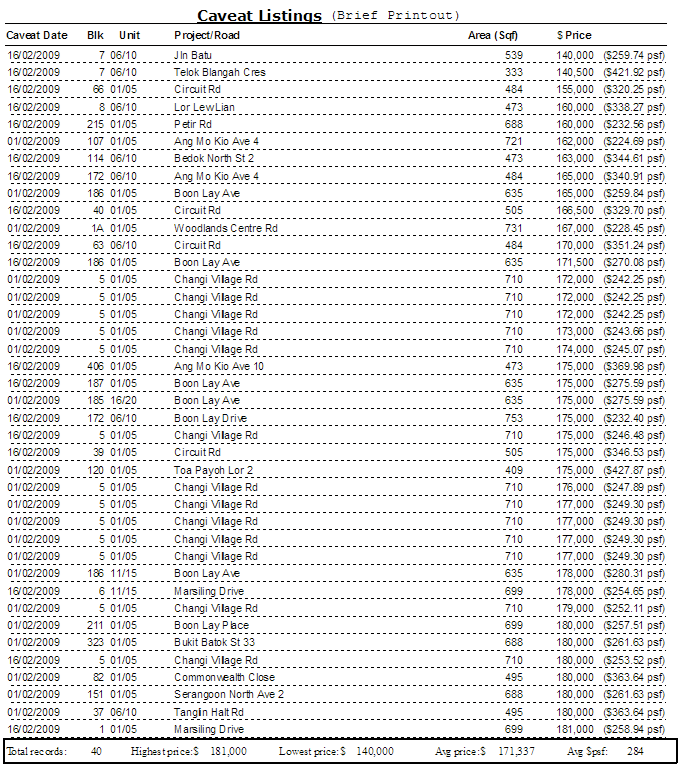 This entry was posted on Friday, March 20th, 2009 at 1:51 pm and is filed under Housing, Singapore Watch ver 2.0. You can follow any responses to this entry through the RSS 2.0 feed. You can leave a response, or trackback from your own site.